Follow this link to the iNaturalist field guide for Forest Wildflowers of Winnebago County! Bloodroot (Sanguinaria canadensis) is a lovely white flower often used in gardening, with eight to twelve long, delicate petals. It sprouts in the early spring and grows eight to twenty inches in height. It possesses one large basal leaf, which is five inches across and five to nine-lobed. The flower blooms in mid spring and the leaves continue to expand until late summer, when they go dormant. Their root-like structures called rhizomes expand to form dense colonies of Bloodroot. The rhizomes contain a highly pigmented orange sap that has been used as a traditional salve to treat skin cancer and other ailments, but is known to destroy skin tissue and is therefore considered toxic. The fleshy fruit of its seeds are popular among ants, who are the primary distributor of this plant. 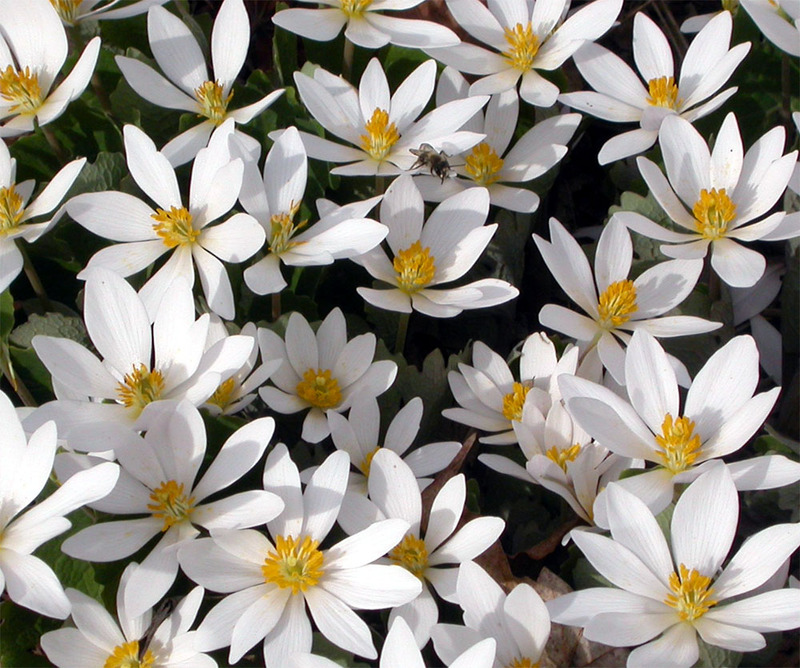 Bloodroot is most often seen in moist to dry woods, especially in floodplains and along slopes. Mayapple (Podophyllum peltatum) is among the first plants to come up in Spring. It is well known for its large, deeply cut leaves that hang like an umbrella. It is not uncommon to see them carpet an entire forest floor. They grow a single white flower beneath the leaves and produce a single yellow fruit in the late spring, hence its name "Mayapple." The fruit can be eaten when ripe (yellow and soft), but are mildly poisonous when unripe. Tall Nettle (Urtica dioica) is divided into six subspecies, five of which possess stinging properties. The “sting” of a nettle is produced when hollow hairs on the leaves and stems inject histamine and other chemicals into skin. While hydrocortizone and other anti-itch creams can provide sting-relief, consider using a naturalized plant like Jewelweed or Broad-leaved plantain as a natural remedy for a comparable result. When dried or cooked, nettle leaves are edible and rich in several nutrients (in fact, there is a World Nettle Eating Championship! Not recommended to try at home). Nettles have also been used as a textile alternative to cotton, as they are hardier, but their product results in a coarser texture. Nettles grow 3-7 feet in height and have toothed leaves 1-6 inches in length. Virginia Bluebells (Mertensia virginica) have bright blue-purple flowers can reach a height of two feet. Virginia Bluebell buds are bright pink before blossoming into the signature bell-shaped flower, which is most often blue but can be found in white and pink variations. 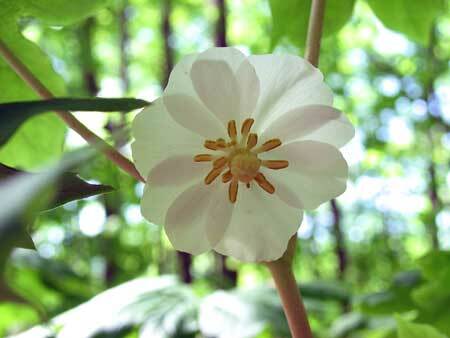 Each flower has five petals fused into a tube at its base. 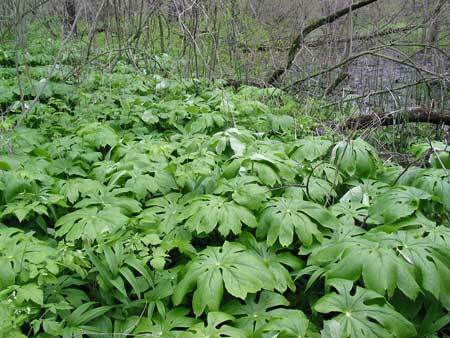 Its gray green leaves are rounded, and is most often found in river floodplains or moist woods. Wild Geranium (Geranium maculatum) are known for their long-lived flowers with five round, pink to lavender petals and ten yellow-tipped stamen. The petals are often streaked with darker lines along the length and fade to white at the base. Its basal leaves are long-stalked, three to six inches wide, bearing 3 to seven deep lobes with rounded teeth. A pair of smaller, short-stalked leaves sit at the base of the flower cluster. Both the leaves and stems are hairy. It often grows to form a clump or mound of flowers. Wild geraniums prefer shade but can tolerate full sun if in rich, slightly damp soil. Woodland Wild Ginger (Asarum canadense) is common groundcover in forests, with large heart-shaped leaves can be six inches in diameter. Its sturdy rootstocks create a dense network that creeps to cover woodland slopes. 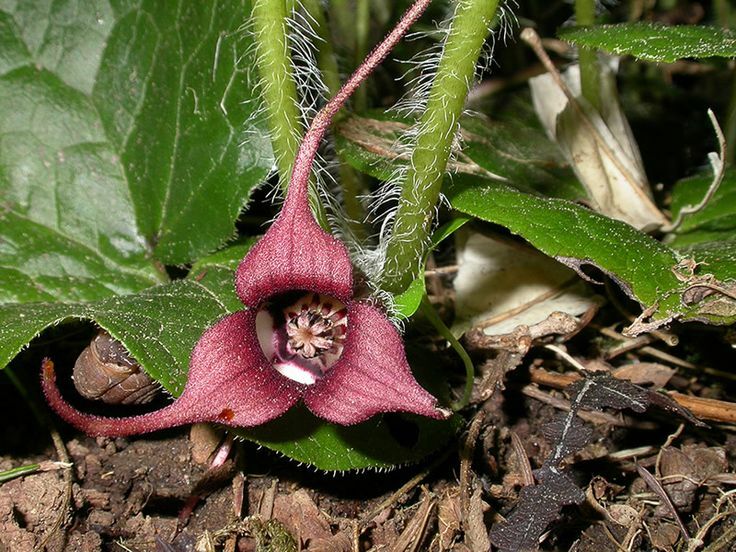 Once established, a cover of Wild Ginger can fend off Garlic Mustard and other invasives. As a woodland native this deer resistant plant enjoys shade and tolerates a variety of soil types. An attractive dark red flower, usually hidden from view by the foliage, blooms in early spring and fades fairly quickly. Although not related to culinary ginger (Zingiber officinale), the roots of Wild Ginger produce a scent that is similar to ginger (or, some say cardamom).